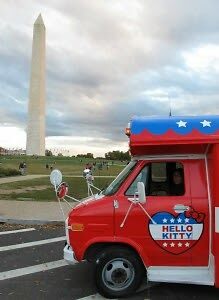 We spotted a particularly interesting campaign bus around DC over the last week, and it belongs to the Hello Kitty for President campaign. The global stationery and lifestyle brand is opening a special pop-up shop at the LivingSocial Space this week for all fans and members of the Friendship political party. The shop will feature partnerships and giveaways from Georgetown Cupcake and Sephora, fun graffiti on the walls and art by Tim Conlon and Nicole Bruckman, and an exclusive merchandise release of 12-25 items from the Hello Kitty for President line. Hello Kitty fans should keep an eye out for the campaign bus driving around Washington, which has members of her campaign handing out Hello Kitty bumper stickers, yard signs, and other campaign collateral. The bus will make a special stop on November 5, when it heads to the Children's National Medical Center for fun and games with patients and families. Cast your vote now for Hello Kitty's running mate: http://bit.ly/VPHK2012 Right now, Chococat and My Melody are in the lead. 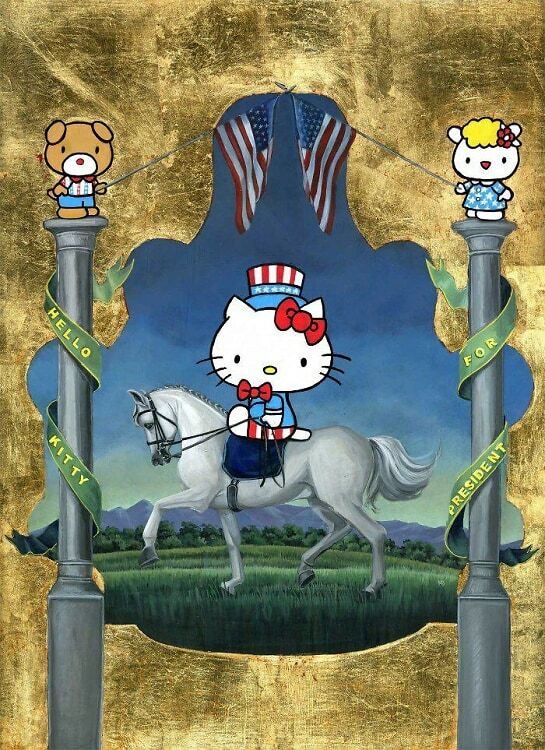 Although Hello Kitty merchandise is sold in over 70 countries, and at over 12,000 locations in the US, and has a 94% brand recognition rate among females 18-34, she has yet to make any dents in the polls.